On 9 March 2015, the House of Commons held a debate on the upcoming Nuclear Non-Proliferation Treaty (NPT) Review Conference, which will take place from the 27 April to the 22 May at the UN in New York. The humanitarian initiative to examine the devastating consequences of any nuclear explosion was raised by a number of MPs. The UK, along with the four other nuclear armed states named in the NPT (China, France, Russia, and the US) initially chose to collectively boycott the humanitarian initiative conferences, on the basis that these would “divert discussion away from practical steps to create conditions for further nuclear weapons reductions”. In any case, the group claimed, their “countries understand the serious consequences of nuclear weapon use” already. However, as the results of a freedom of information request by Article 36 made clear, the UK has been more amenable than some others in the group to engage with the humanitarian initiative, given the imperative of the “UK setting out our narrative and key messages” to a forum of growing importance. In November 2014, the UK joined the US in deciding to attend the latest meeting in Vienna, breaking the outward unity of the NPT nuclear-armed states in relation to the humanitarian initiative. Discussion during the NPT parliamentary debate of the UK’s attendance at Vienna showed a growing recognition of the role of the humanitarian initiative. Margaret Beckett (Labour), who requested the debate, is a member of the Top Level Group of UK Parliamentarians for Multilateral Nuclear Disarmament and Non-Proliferation. Their position is that disarmament can only be achieved by “multilateral and incremental steps which also maintain national and international security”, rejecting any “shortcut” that the humanitarian initiative might result in – for example a nuclear weapons ban treaty. 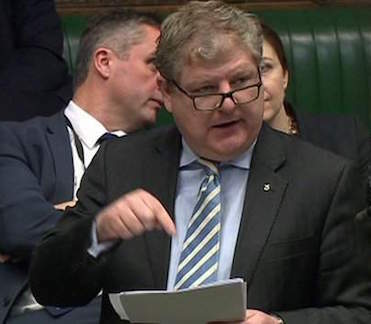 In response to an intervention from Angus Robertson (SNP) on the importance of the humanitarian initiative, Beckett noted that the Group had pushed the UK to attend the humanitarian consequences conferences, given they were amenable, and had been lobbying against a “lowest common denominator” approach of NPT nuclear-armed state collective non-attendance. Alistair Burt (Conservative) noted that he “slightly regretted the fact that when I was in office I did not sign up to the humanitarian conference that took place in Mexico” in 2014, unconvinced now that it would cause states to “lose what the NPT is about” (a criticism levelled at the humanitarian initiative). He recognised the importance of fully elaborating the implications of nuclear war, commending the role of NGOs, and remarking that “to remind the world of what could happen seems not fanciful but important”. The Minister, Tobias Ellwood (Conservative), explained in response to all comments that the decision to attend Vienna was due to recognition of the “importance that many NPT states and hon. Members of this House attach to this initiative”. He rejected any implication however that UK attendance meant “a deviation from our support for a step-by-step approach to multilateral disarmament”. 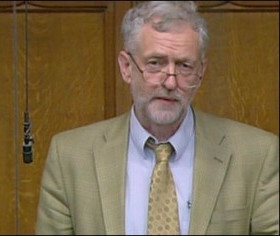 Jeremy Corbyn (Labour) highlighted the attendance of parliamentarians including himself at the Vienna conference, and the crucial importance of examining the humanitarian impacts of nuclear weapons. He compared the UK’s statement to the conference, which asserted the value of nuclear weapons to state security, with the extreme threat posed by these weapons and their devastating impacts. He also drew attention to the Pledge delivered by Austria to the conference, which “calls on all states parties to the NPT to renew their commitment to the urgent and full implementation of existing obligations under Article VI, and to this end, to identify and pursue effective measures to fill the legal gap for the prohibition and elimination of nuclear weapons and Austria pledges to cooperate with all stakeholders to achieve this goal”. The only weapons of mass destruction that are currently not explicitly prohibited under international law are nuclear weapons. The Pledge offers an opportunity and rallying point for states to commence negotiations on a ban treaty, which would fill the legal gap Austria described. Over 50 states have so far endorsed Austria’s call to join their Pledge. Filling the legal gap will be a key subject for discussion at the NPT Review Conference, at which effective measures to advance nuclear disarmament are to be debated by states parties.